Various versions of the SITRANS P are available for pressure, absolute pressure, diff. pressure, flow and level. The transmitters can be equipped with various designs of remote seals for special applications such as the measurement of highly viscous substances. They can also be programmed locally using three input keys or externally via HART. The table in the product datasheet describes the fundamental parameters. 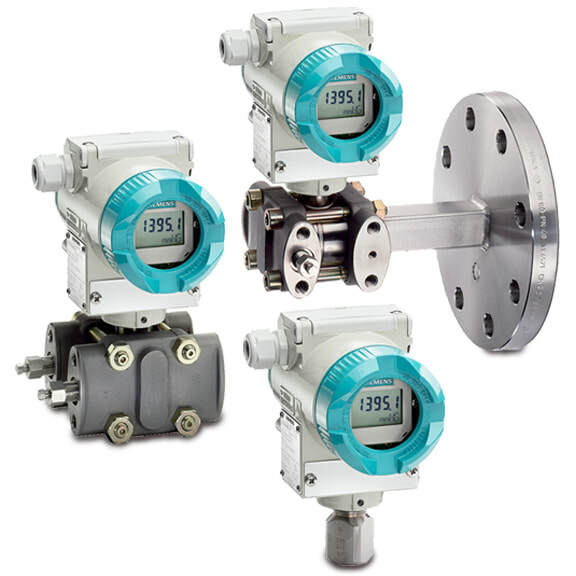 The SITRANS P pressure transmitter, is immediately ready for operation following installation. The adjustable span corresponds to the data on the rating plate. If a customer-specific setting is made in the factory, the start-of-scale and full-scale values are printed on the rating plate. If necessary, the parameters can also be changed during commissioning using simple input operations on the transmitter. Transmitters conforming to the type of protection “Intrinsic safety” and “Explosion-proof” may be installed within potentially explosive atmospheres (zone 1) or zone 0. They are provided with an EU prototype test certificate and comply with the corresponding harmonized European standards of the ATEX.